5 Helpful Tips that will Help you Become a Better Channel Manager! It takes a certain type of person to be a channel manager — especially for those new to the responsibility. Not only do you need exceptional communicative skills, but also you need to be methodically organized, strategically minded, intuitive, transparent and tough. 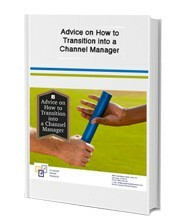 Receive a Free whitepaper about “Advice on How to Transition into a Channel Manager” by filling out the form on the right.